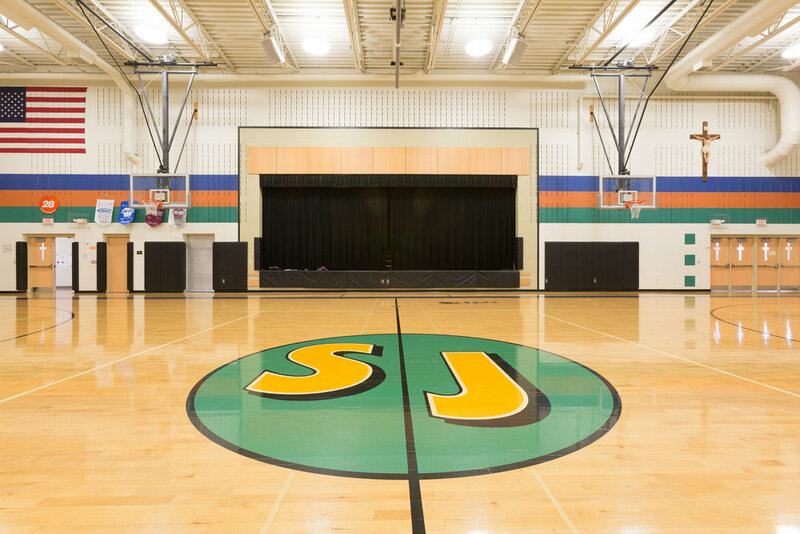 St. Jerome Parish School houses a K-8, two-track school with approximately 500 students. The design includes a gym, cafeteria, and library as well as all office and support functions. It is arrayed to maximize solar gain during late autumn, winter, and early spring, while providing enhanced cross ventilation during warm weather. The design of the school building developed from a study of the site conditions and blends this rural setting with the neighboring residential and institutional properties. A natural wetland at the southeast and an engineered detention pond enhance onsite water retention and quality. Ball fields for the church and school bring in families from the surrounding communities.